This kit fits the OS Max outboard lower unit. Tennifer treated steel adaptor 5mm to 3.2mm square. 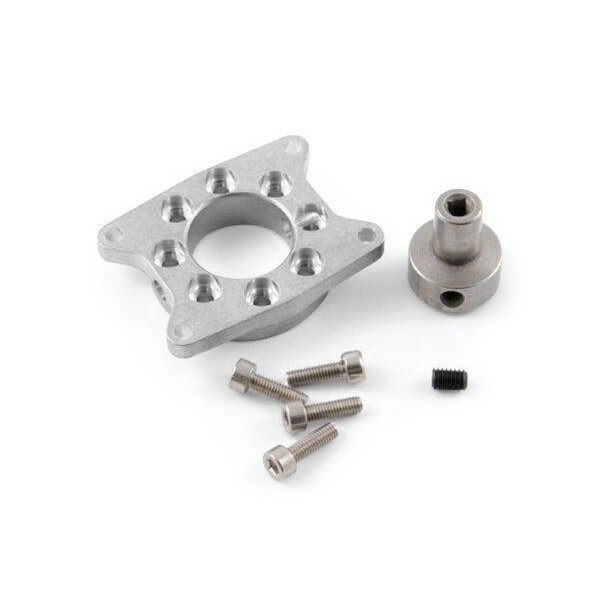 7075 multi position Low Gravity BL motor adapter which fits with the OS outboard lower unit. Easy acces for extra lubrification and tightening of adaptor.